A limited edition sold only in Abu Dhabi, the SevenFriday M1/02 UAE Edition features Indo-Arabic numerals on the dial, along with a striking black and gold colour scheme with motifs inspired by the Emirates’ history. 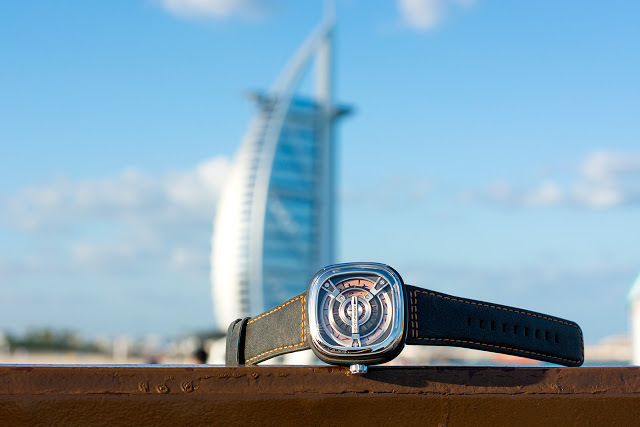 Created for its new boutique in Abu Dhabi, capital of the United Arab Emirates (UAE), the SevenFriday M1/01 UAE Edition has a predominantly black and gold colour scheme, along with Indo-Arabic numerals on the minute and hour discs. 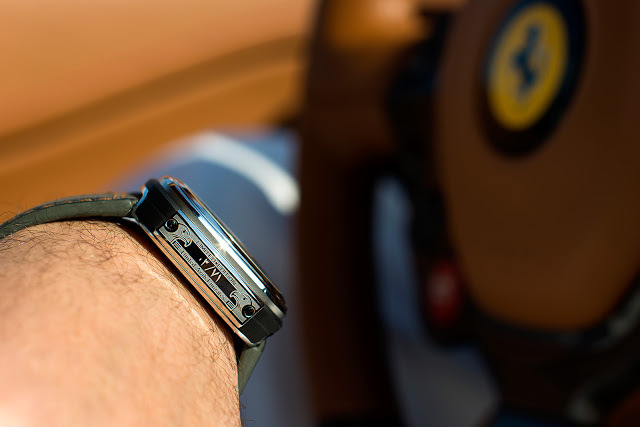 It’s a variant of the SevenFriday M-series, characterised by its disc-based time indication and crown on the left of the case. The motif on seconds disc in the centre of the dial is inspired by the arches of the Sheikh Zayed Mosque in Abu Dhabi, while the case back features an engraving of the Al Jahili Fort in Al Ain, the oldest such building in the Emirates. A plate screwed onto the right flank of the watch features two falcons, the quintessential bird of the Middle East, with the serial number of the watch engraved in Indo-Arabic numerals. At 47mm both ways, the case is the same size as the standard M-series. 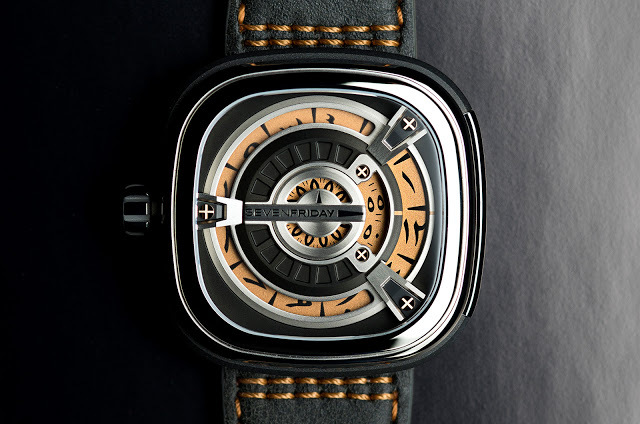 Inside is a Miyota automatic movement, the same inexpensive but robust calibre that’s found in all SevenFriday watches. 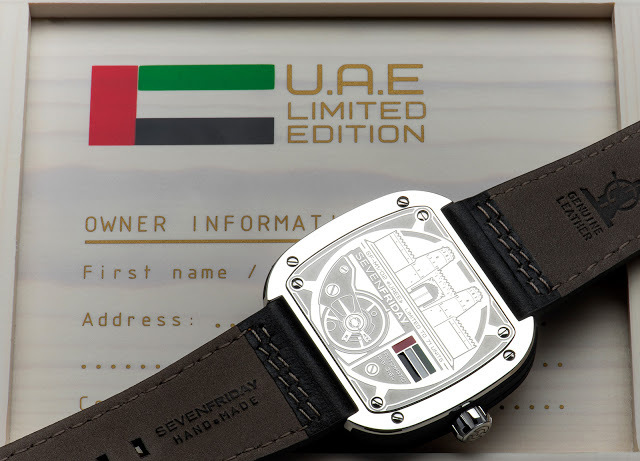 The SevenFriday UAE Edition is limited to 71 pieces, a reference to the founding of the UAE in 1971. It’s priced at AED6300, equivalent to US$1720.